Colson, G. 2018 (forthcoming). Expressions of Maʻohi-ness in contemporary Tahitian popular music. In M. Power, A. Dillane & al. 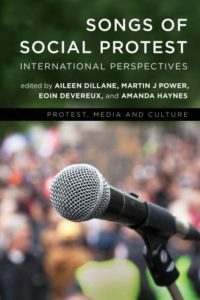 (Eds), Songs of Social Protest: International Perspectives. London: Rowman & Littlefield. Musical Transculturation at the 11th Festival of Pacific Arts: A creative approach to the sustainability of tradition in Francophone Pacific Islands.